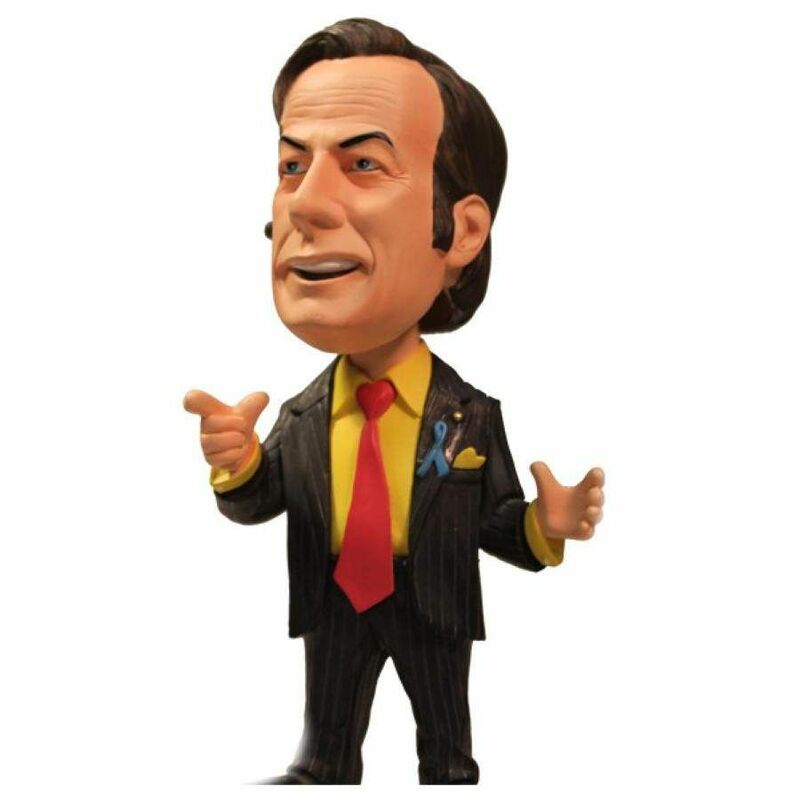 Relive the tense, edge of your seat excitement as Mezco Toyz Breaking Bad Saul Goodman Bobblehead stares at you; nodding solemnly as if to say "Better call Saul!" 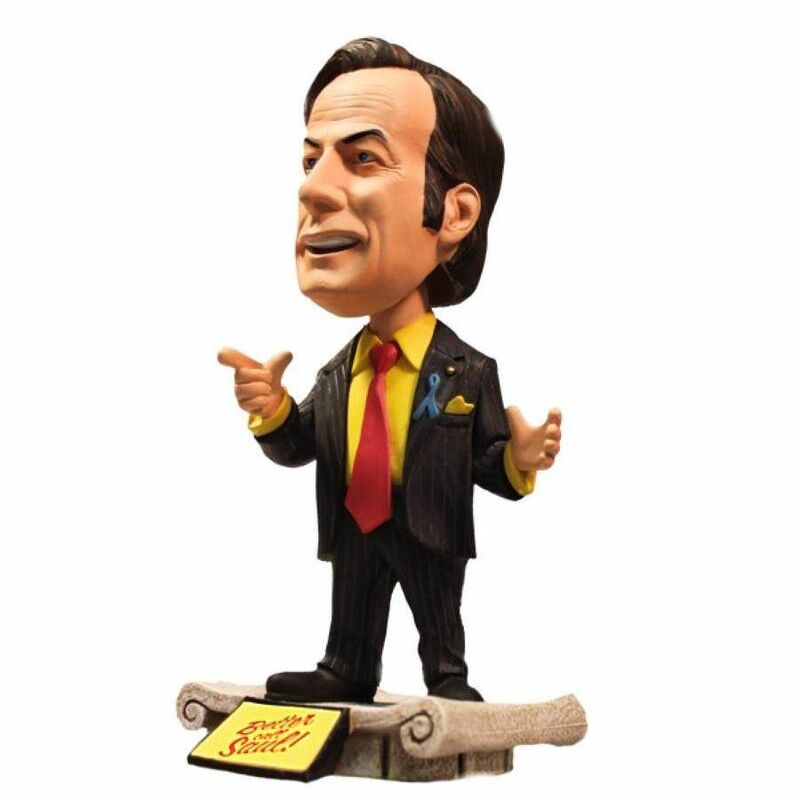 This unforgettable figure features the notorious Saul Goodman in his iconic pinstripe suit, forever yelling into his wireless telephone earpiece. Everybody’s favorite sleezeball stands victoriously on a classical plinth reminiscent of the columns in his office. 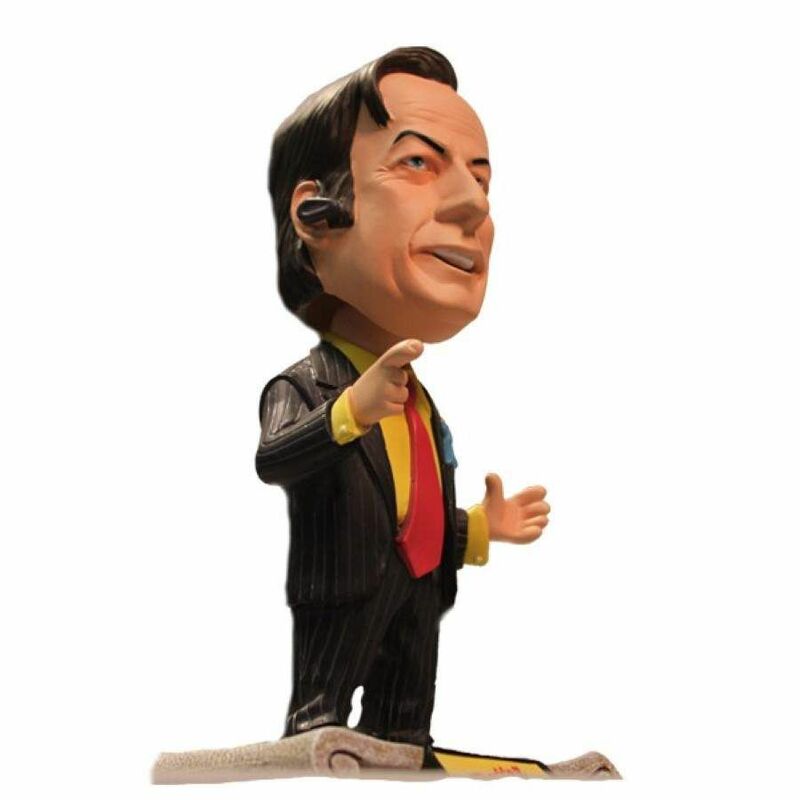 This red tie with yellow shirt combination is an SDCC exclusive limited edition Bobblehead. 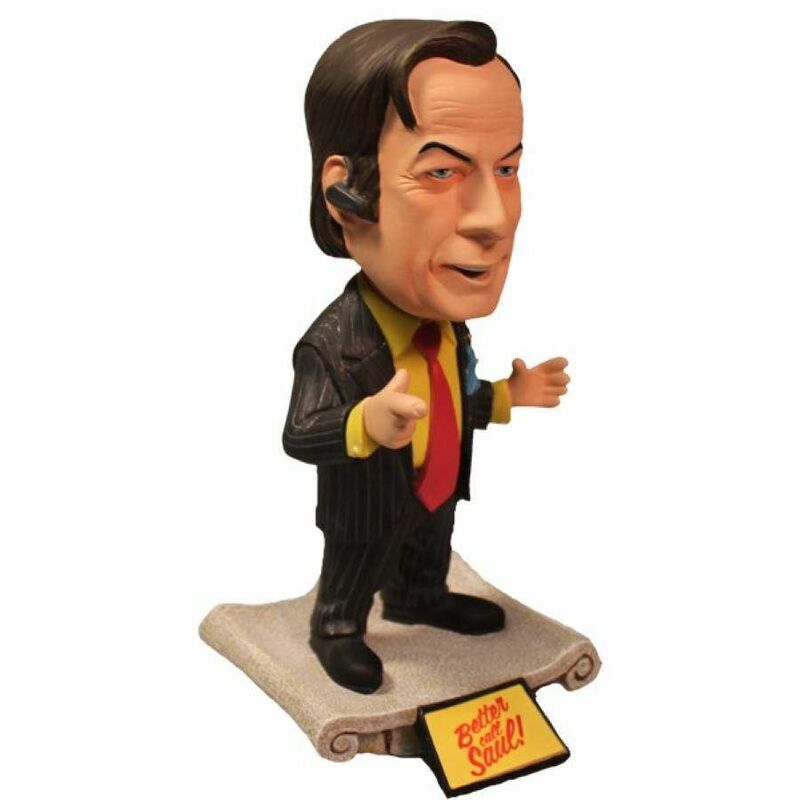 Saul and base stand at 6" tall and features bobble action and he comes complete in a collector friendly box. Exclusive to this limited edition is a custom Better Call Saul slipcase.